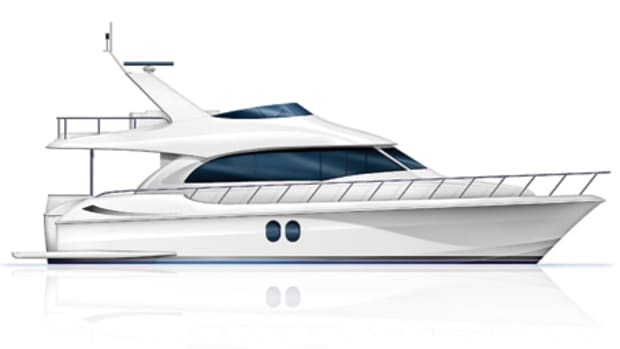 Although she’s one of the shorter offerings in Horizon’s line of Taiwanese-built motoryachts (which includes models ranging from 62 to more than 130 feet), the new 68 delivers an impressively long list of features and amenities. 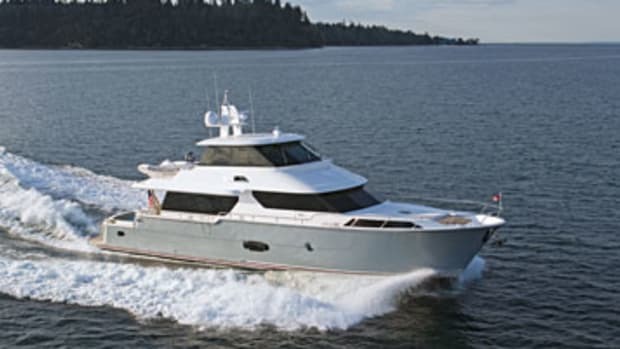 Her standard equipment includes virtually everything: navigation electronics, entertainment system, a tender with outboard and davit, cookware, tableware, and more. Even napkins and napkin rings are included. 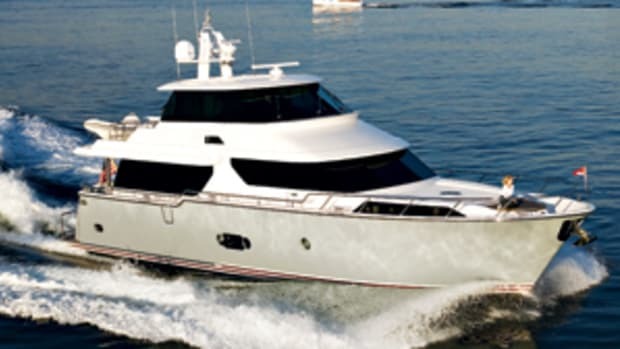 Designed by Greg Marshall, the 68 boasts amply proportioned interior spaces and a versatile four-stateroom, four-head layout. 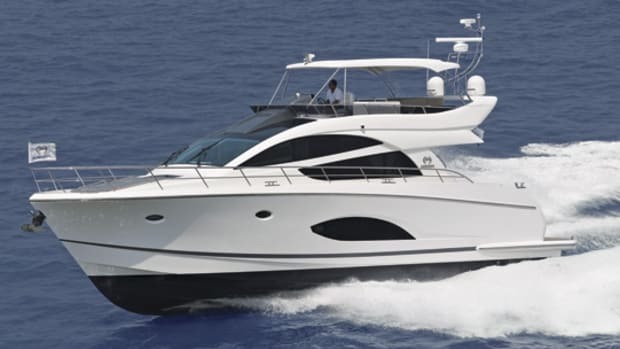 Beneath the aft deck, a private stateroom with double berth and head is suitable for crew, if desired, or for guests if the yacht is owner-operated. 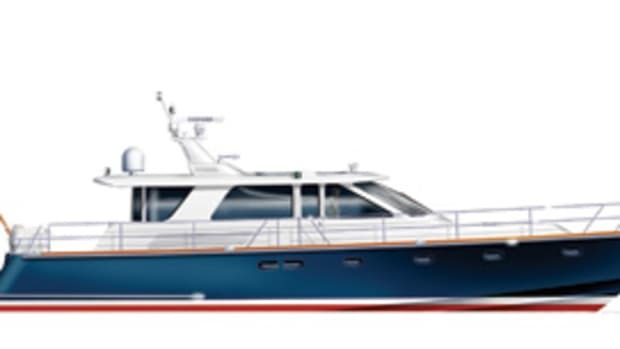 Forward on the lower deck, the three main staterooms can be configured in either of two layouts. 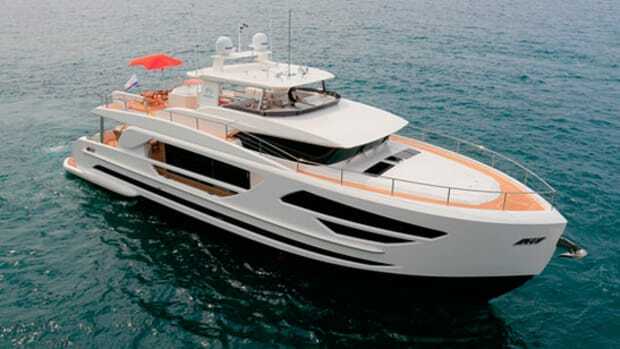 One features a full-beam master suite amidships, VIP suite in the bow, and third stateroom between them on the port side (seen above). 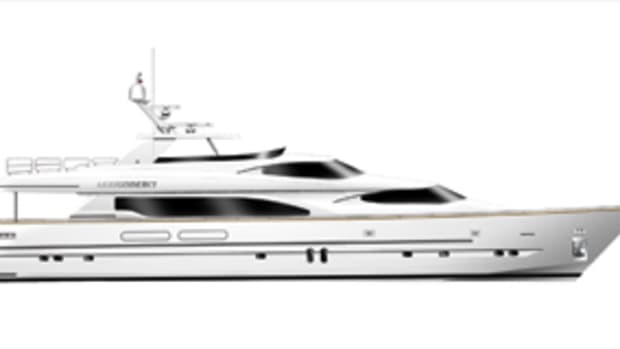 The alternate configuration offers a private full-beam master suite in the bow and side-by-side guest staterooms amidships. 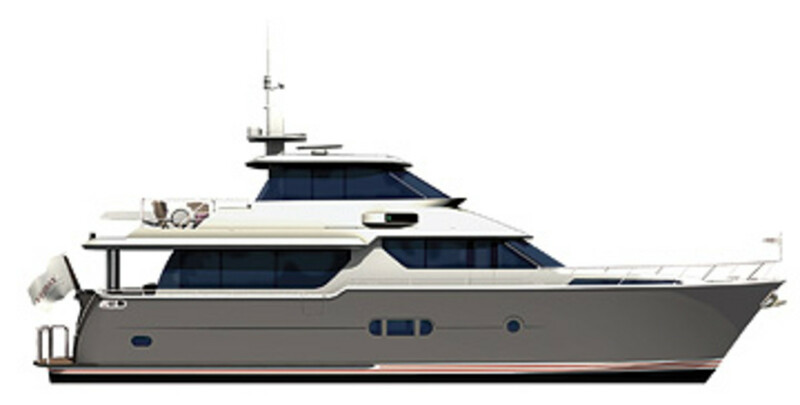 Launching in November, the first 68 will feature a roomy skylounge on her bridge deck; with its centerline helm station, companion/navigator seat, and generous L-shape settee, it offers 360-degree vistas in climate-controlled comfort. Aft on the bridge deck is an outdoor seating area with a barbeque and wet bar and one really slick feature: Built into the countertop is a skylight that bathes the saloon below in natural sunlight or romantic moonglow. 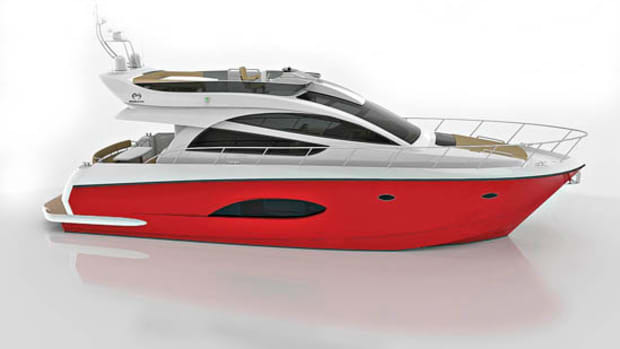 It’s a testament to the talent of the naval architect that the 68 can offer such a generous interior volume while maintaining a pleasing profile and exterior proportions. A key element of the designer’s sleight of hand is subtle changes in elevation on each level. 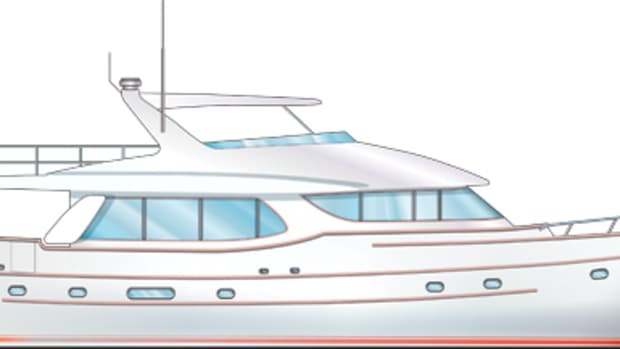 For example, the bow stateroom is two steps up from the lower-deck passageway, taking advantage of the bow flare to gain floor space while using the raised trunk of the deckhouse for headroom. Similarly, the port-side stateroom is nestled beneath the dinette, sneaking a bit of headroom from beneath the settee. Aft on the main deck, the saloon is two steps down from the galley and dinette, keeping her profile looking as low as possible. Subtle touches, but essential to making a design look good and work well.